Heart disease affects millions of Americans each year, making it responsible for one in four deaths. A common misconception is that only older people get heart disease, but it can strike anyone at any age. Heart disease does not discriminate; in fact, one in five Americans dies each day from this condition. Unhealthy lifestyle habits like smoking and alcohol abuse are some of the common contributors to heart disease. Those who suffer from high blood pressure and obesity have a higher risk of diagnosis at an earlier age. However, it can be hereditary, so you have a greater risk of developing heart disease if it is common in your family. Sunshine Community Health Center offers multiple clinics with screening opportunities to help you assess your risk. Behavioral counseling is also available so you can learn how to change unhealthy lifestyle habits and minimize or reverse their damaging effects. Septal defects – There is a hole between the two chambers of the heart. 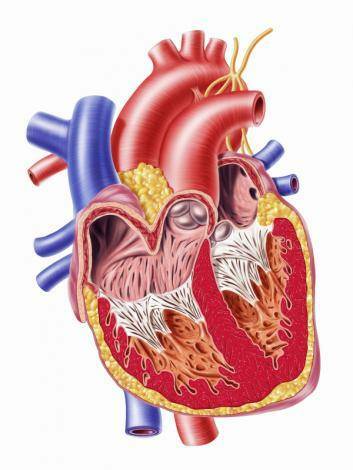 Obstruction defects – Blockages exist in the heart chambers, impeding blood flow. Cyanotic heart disease – A defect that causes an oxygen shortage in the blood. Read more here. Irregular heartbeats are actually common. Nearly everyone will experience them at times, usually feeling as if their heart is racing. But, if your heartbeat changes too often or varies too much, this condition should be treated and taken seriously, because arrhythmias can be fatal. The heart muscle is supplied with oxygen and nutrients by blood circulation through the coronary arteries. When you live an unhealthy lifestyle, these arteries can be damaged or become diseased, usually due to plaque deposits. The coronary arteries then become narrow, restricting oxygen and nutrients to the heart. Read more. Myocardial infarction is caused by interrupted blood flow due to a blood clot that develops in any of the coronary arteries, damaging that part of the heart. Also known as congestive heart failure, this is a condition where the heart cannot pump blood throughout the body efficiently. This can affect the right or left side of the heart, and in rare cases, both. Coronary artery disease or high blood pressure may leave the heart too stiff or weak to fill and pump properly over time. Signs of a heart attack are very similar to angina, except that they occur when you are at rest, tend to be more severe and last up to thirty minutes or more. Symptoms of heart attack can be similar to indigestion and sometimes accompanied by heartburn, stomach ache, and either a squeezing or heavy feeling in the chest. Treatment for heart disease may also vary, depending on the condition. There are two ways of treating heart disease; one is medications, the other is surgery. Your doctor will recommend appropriate procedures. An extensive range of drugs is available for most heart diseases — prescription anti-blood clot medications are one example. These medications can serve other purposes as well. angiotensin-converting enzyme (ACE) inhibitors – to treat high blood pressure and heart failure. Your doctor will help you find a safe and effective medication. Underlying conditions that affect the heart, such as diabetes, should also be discussed and treated to avoid future complications. Another way to treat heart conditions is through surgery; however, it is an intensive procedure which can take a long time to recover from. Although debilitating, surgery is a particularly useful tool in treating blockages in the heart. Medications can be less effective in these situations, especially in advanced stages. Angioplasty – A procedure where a balloon catheter is inserted into a narrowed blood vessel, making it wider to restore the regular flow of blood to the heart. Coronary artery bypass surgery –This type of procedure is performed on patients suffering from a blockage in their heart; it redirects blood to the blocked area of the heart. Read more. Heart transplant. Of all the procedures available, this is the most complicated, because finding a suitable donor takes time. People who cannot find an immediate donor are put on a waiting list, which can take months or years. Apart from congenital heart disease, which is present at birth, other types of heart conditions can be avoided with a healthy lifestyle. Eat a balanced diet high in fiber, but low in sodium and saturated fat. Regular exercise is very important to cardiovascular health. It helps regulate blood pressure and keep cholesterol levels low. Maintain a healthy body weight that is ideal for your height. Avoid smoking and regulate alcohol intake. These factors may put you at risk for many cardiovascular conditions. Get regular screenings and talk about concerns with your health providers. While these tips will not completely protect you from heart disease, they can improve your overall health and lower your chances of getting the disease. You can take control over preventable health problems like heart disease with help from your health care team at Sunshine Community Health Center!